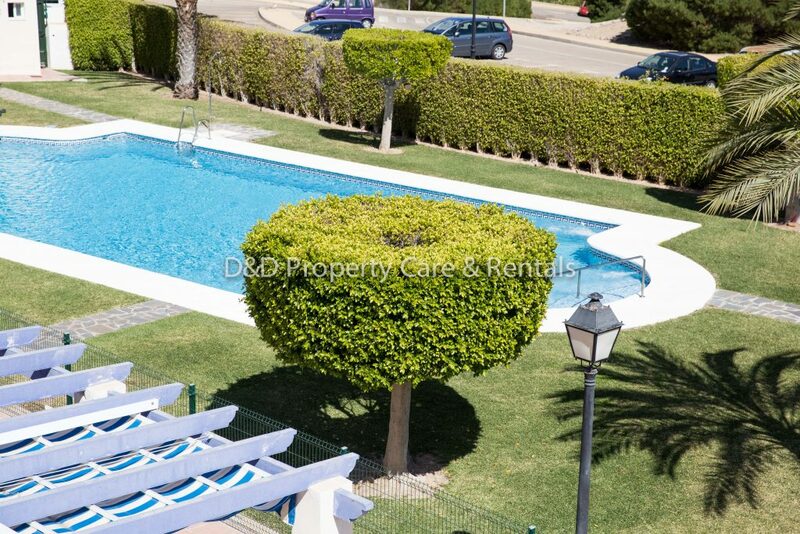 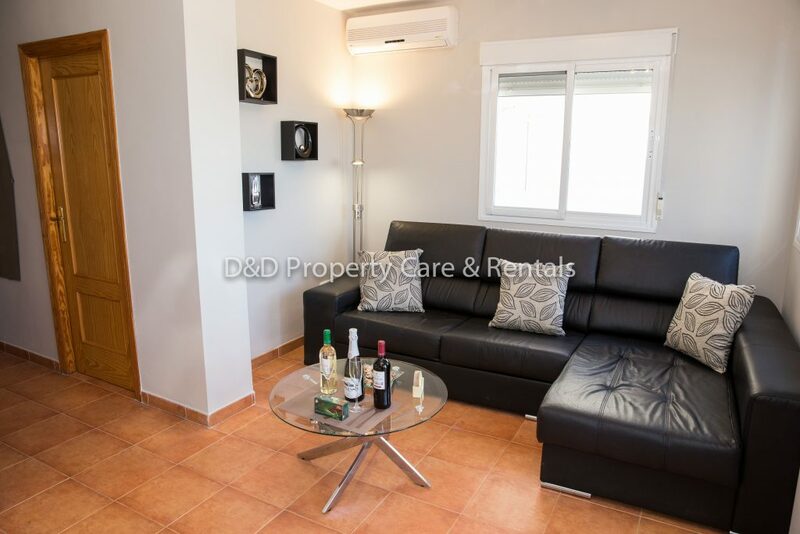 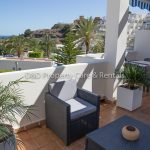 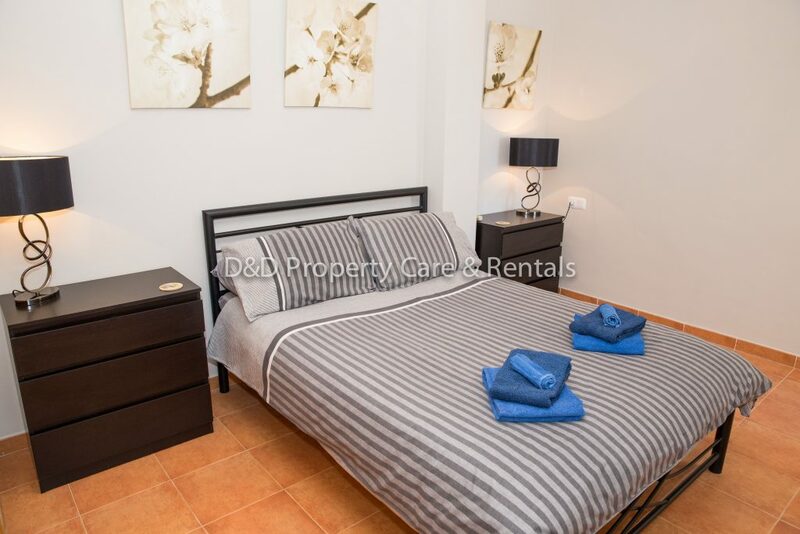 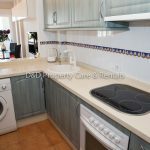 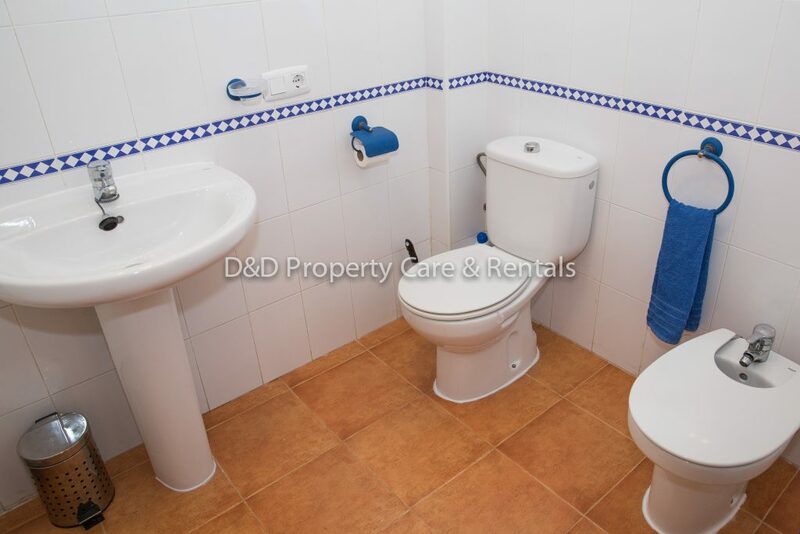 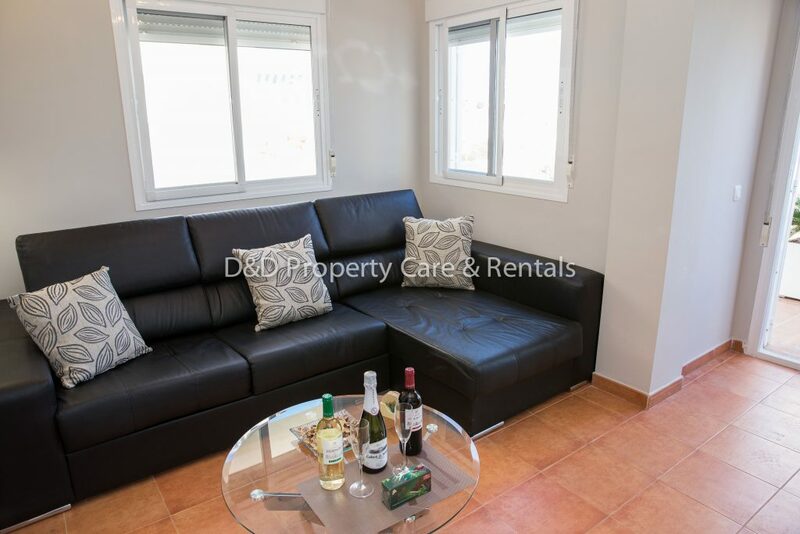 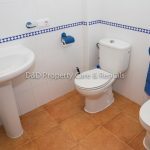 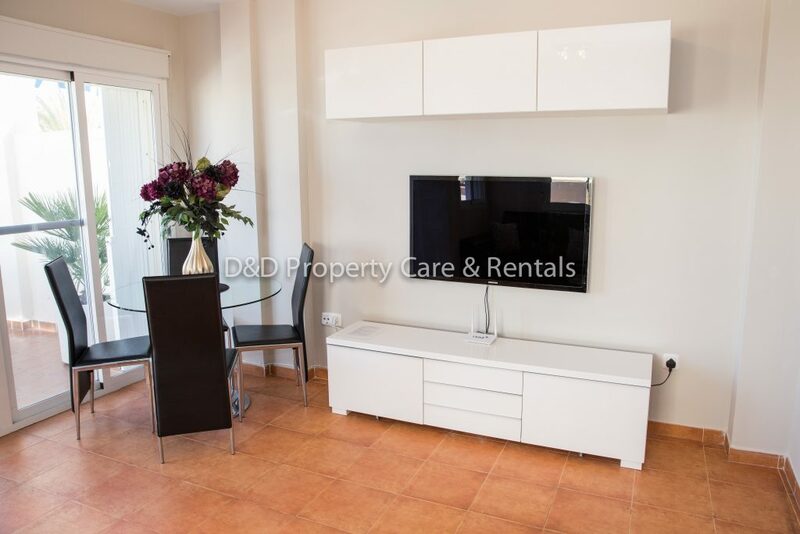 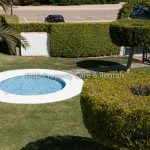 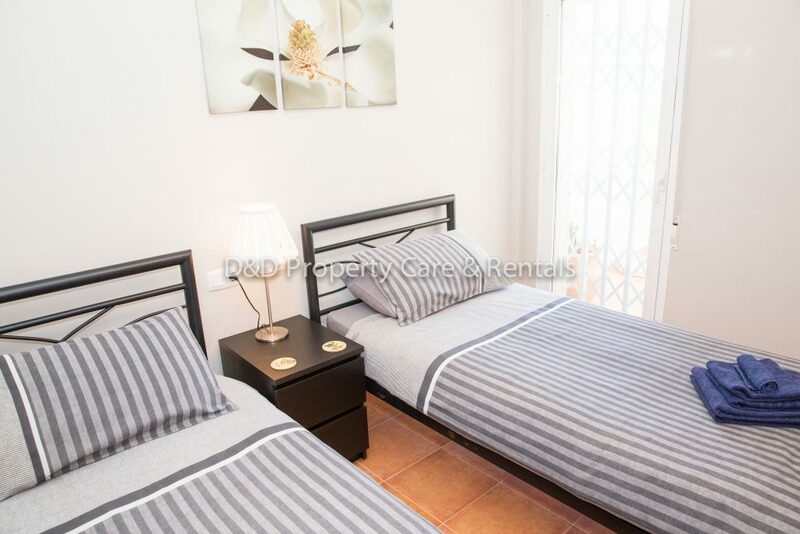 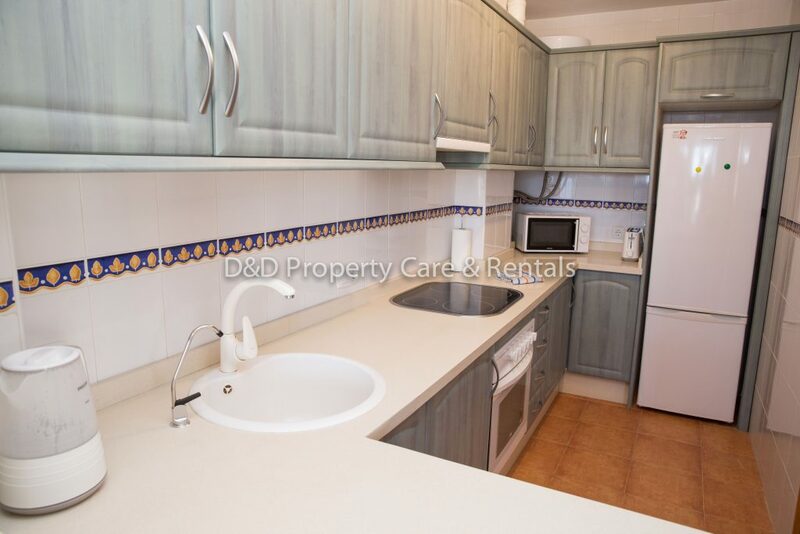 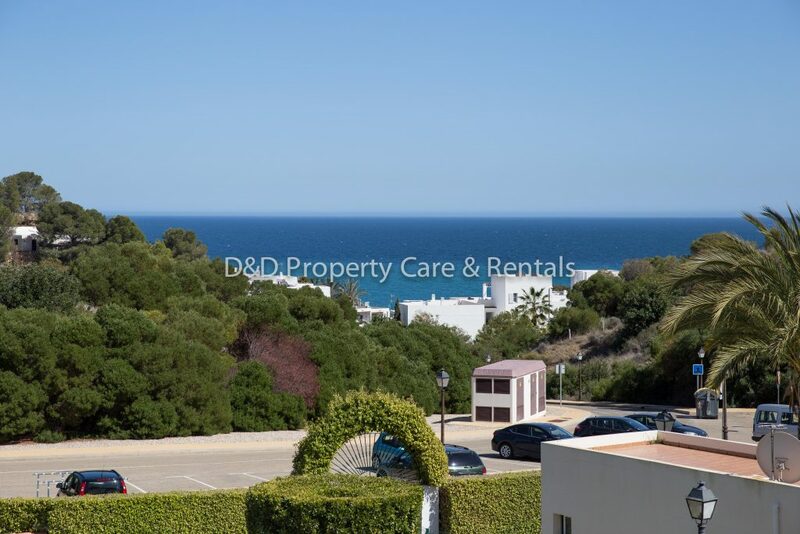 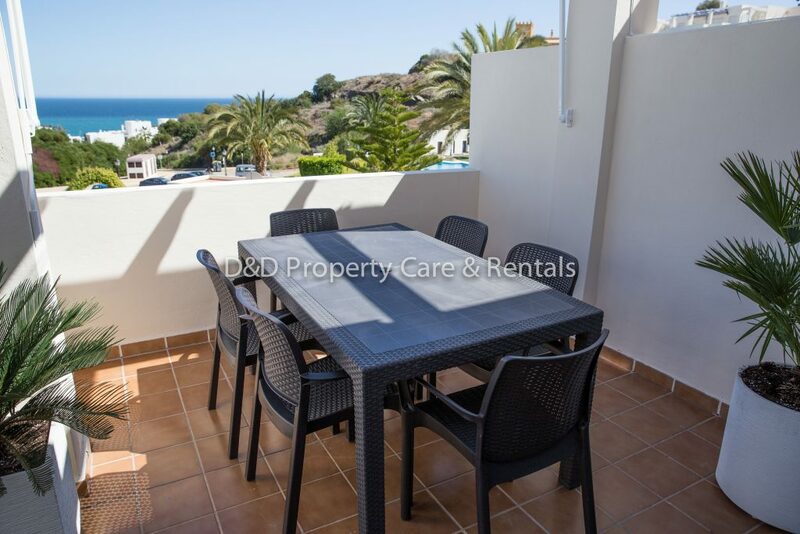 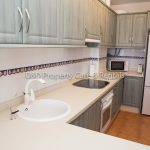 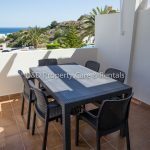 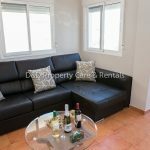 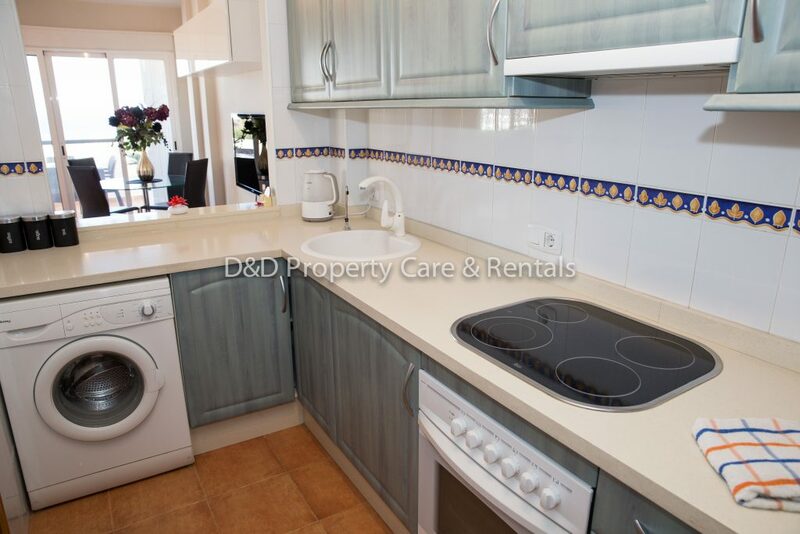 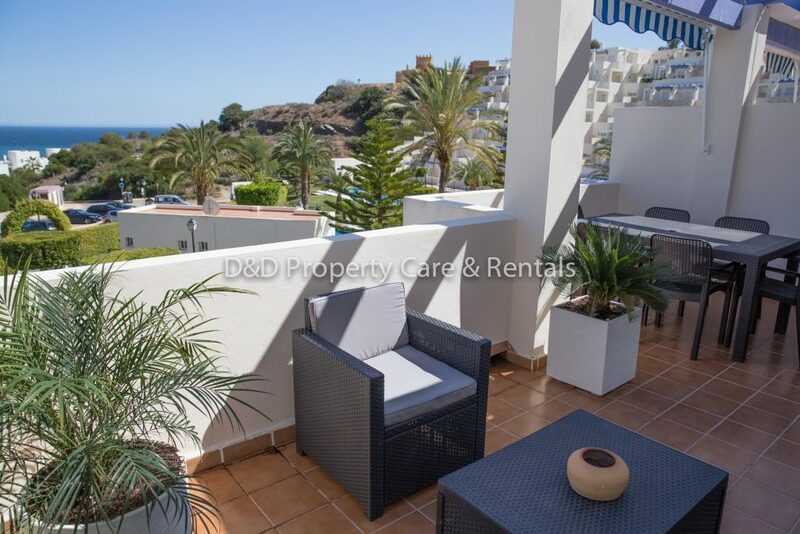 This is a lovely 2 bedroom apartment furnished to a high standard in a secure gated complex named ¨Los Atalayones¨. 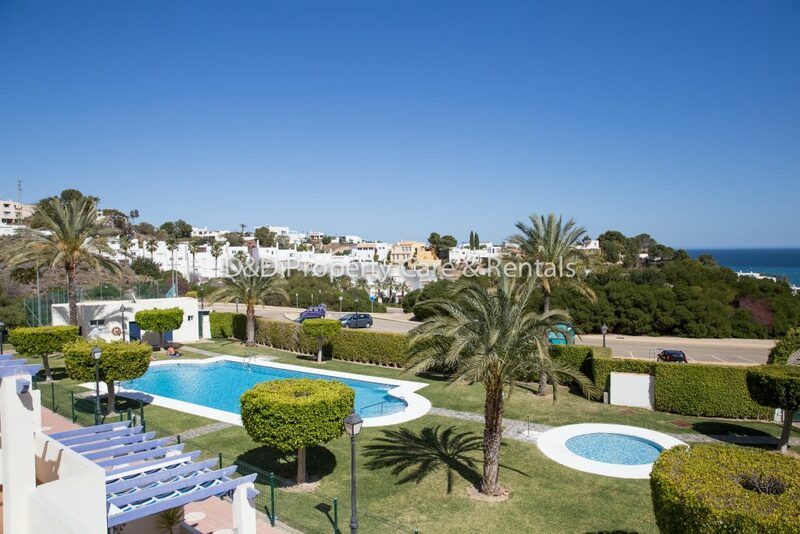 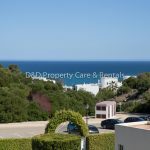 Los Atalayones is one of the most if not the most sort after complexes on Mojacar Playa with its beautiful well-maintained gardens with three adult and three children communal pools to use not forgetting the floodlit tennis court. 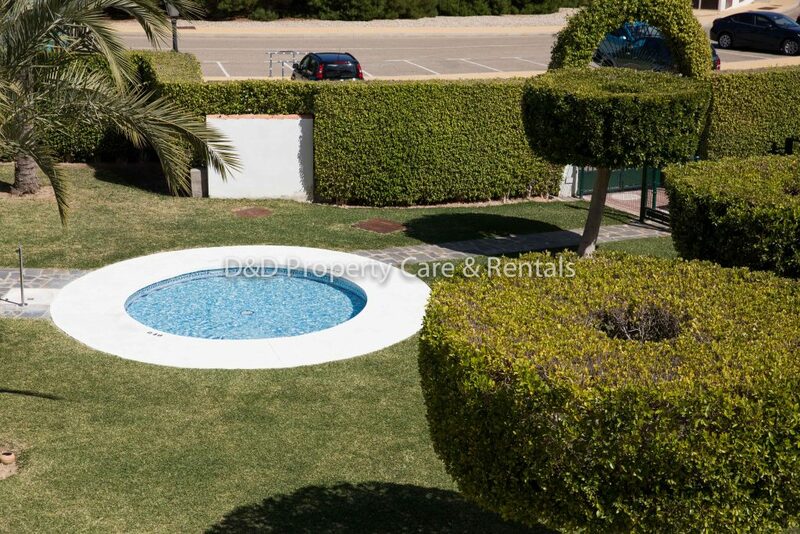 The complex also has lifts and a lifeguard in the summer. 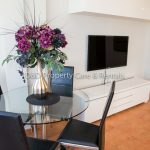 The apartment itself comprises of two bedrooms; a double and a twin bedded room, a family bathroom with bath/shower, a fully equipped kitchen with oven/hob, microwave, washing machine, fridge/freezer etc, and a spacious lounge/dinning room with a wall mounted flat screen TV with English channels and WiFi, an ‘L’ shaped sofa and dining table and chairs. 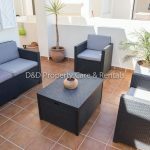 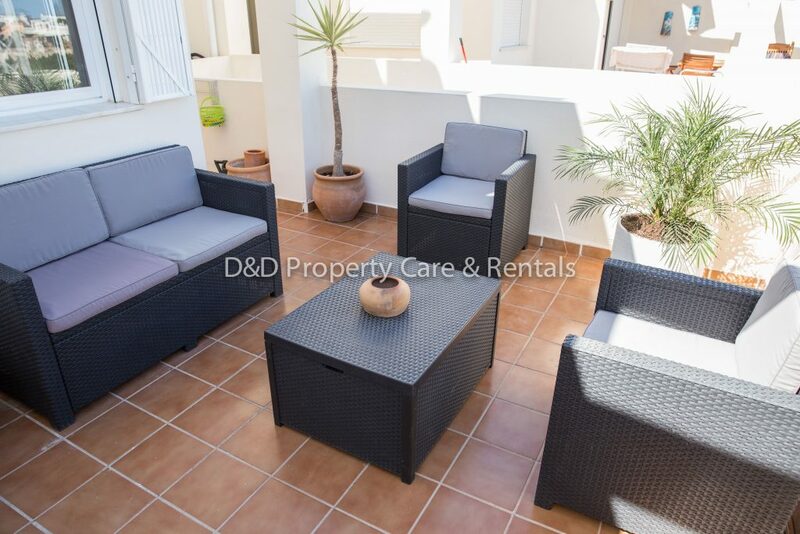 The patio doors lead out onto a good sized terrace furnished with rattan style furniture comprising of sofa, table and chairs, a couple of mature potted plants and awnings. 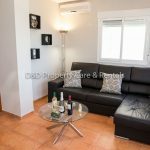 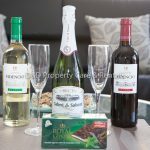 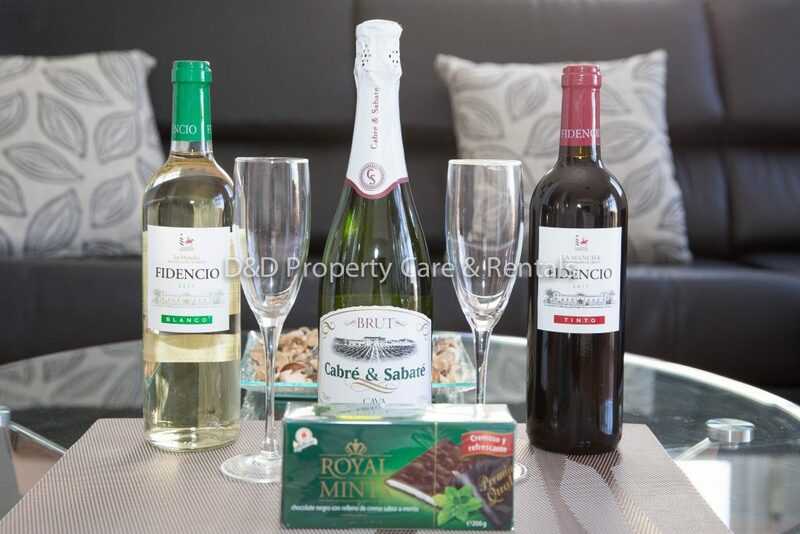 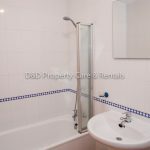 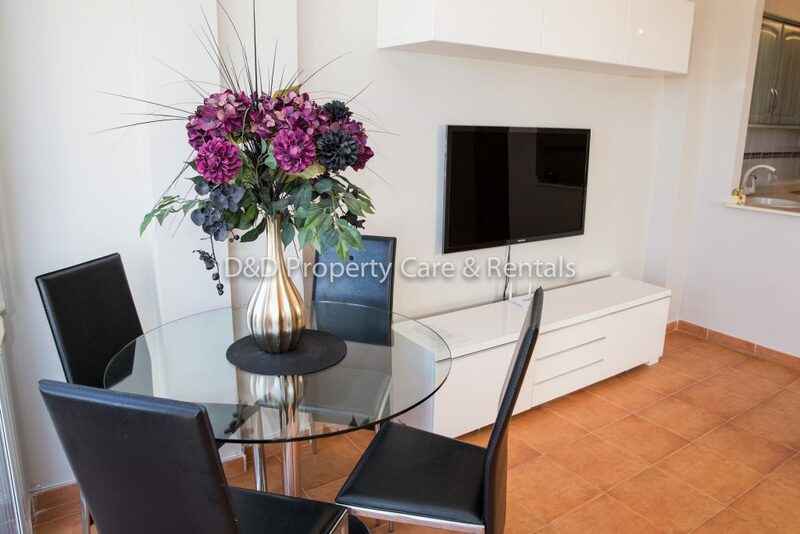 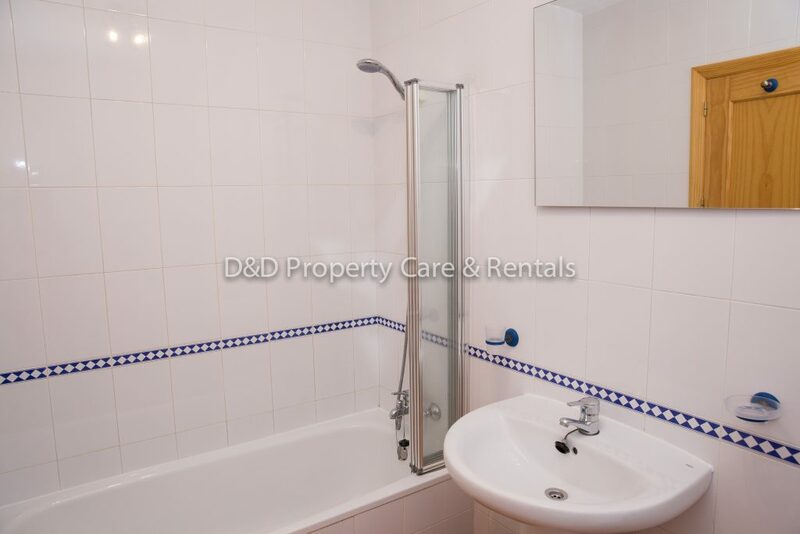 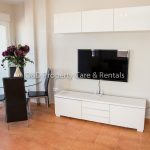 The apartment has air conditioning throughout, Sky TV, WiFi plus a complimentary welcome pack on arrival. 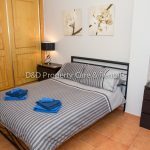 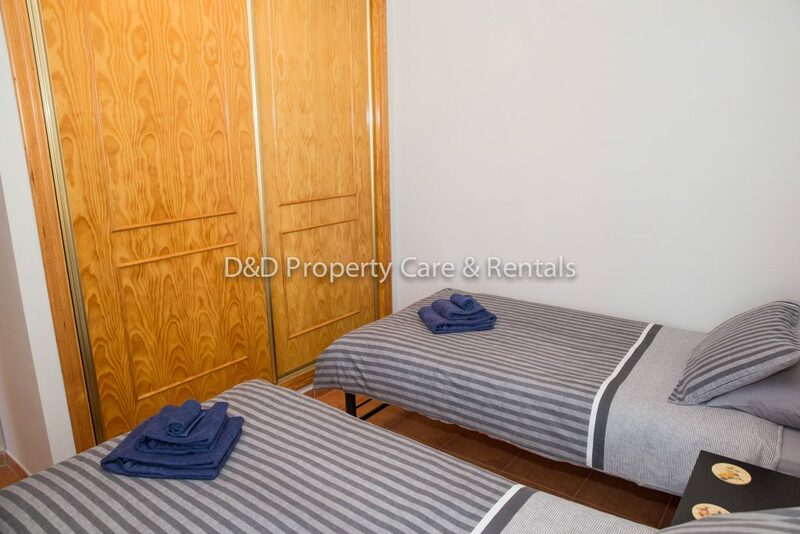 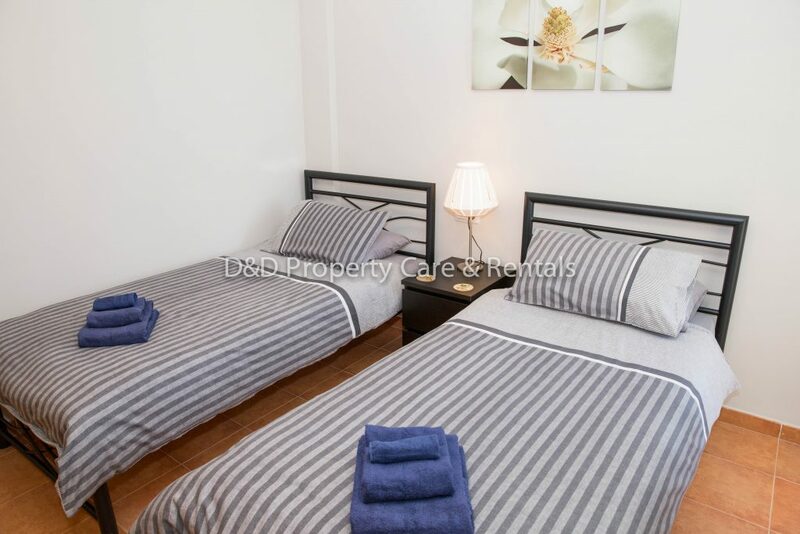 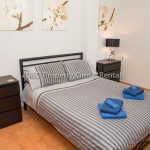 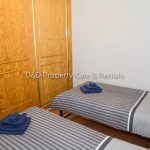 The blue flag beaches are within 400 meters walking distance from the apartment where you will find an array of bars and restaurants, shops, tenpin bowling, horse riding center etc. 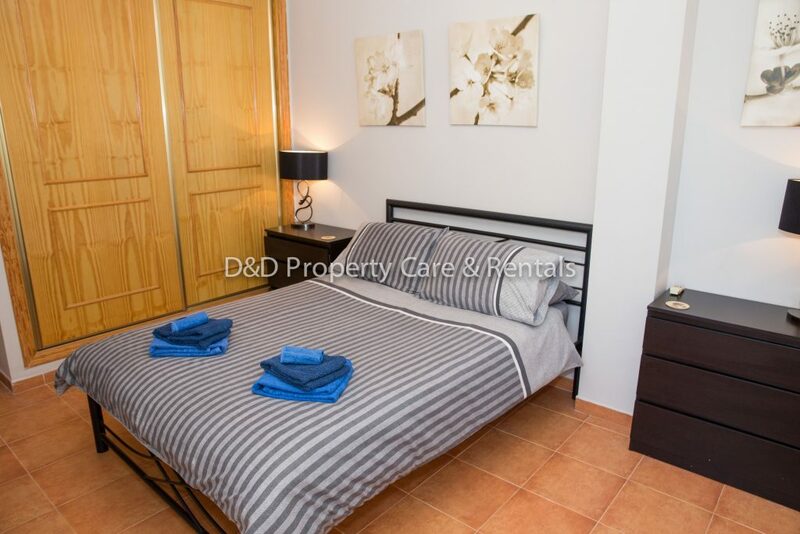 There are also 6 golf courses, go-karting circuit and an aqua park all within driving distance.